^ Longstreet wrote in his memoirs, p. 13, that "It is difficult to determine whether the name sprang from France, Germany, or Holland." ^ Wert, pp. 19-22; Longstreet, p. 13; Dickson, p. 1213. ^ Wert, pp. 22-26; Dickson, p. 1213. ^ Longstreet, pp. 16-17; Wert, pp. 26-31; Eicher, p. 353. ^ Wert, pp. 35-45; Eicher, p. 353. ^ Dickson, p. 1213; Wert, pp. 51-53. ^ Wert, pp. 58-61. Longstreet, pp. 32-33, claimed that he sought only appointment as a paymaster, but historians such as Wert believe this was falsely modest and that he sought the glory of infantry command from the earliest days. ^ Tagg, p. 204; Wert, pp. 62-77; Dickson, p. 1214; Longstreet, pp 37-57. ^ Wert, pp. 90-91; Eicher, p. 353. ^ Wert, pp. 110-25; Dickson, p. 1214. ^ Dickson, p. 1214; Tagg, p. 204; Wert, pp. 134-52. ^ Gallagher, pp. 140-57; Tagg, p. 205; Wert, pp. 166-72. ^ Dickson, p. 1214; Longstreet, pp. 180-98; Wert, p. 179. ^ Longstreet, pp. 239-78; Dickson, p. 1215; Wert, pp. 200, 205, 208. ^ Wert, pp. 215-23; Longstreet, pp. 297-321; Alexander, pp. 166-87; Dickson, p. 1215. ^ Wert, p. 228; Eicher, p. 353. ^ Tagg, p. 205; Alexander, p. 190; Wert, pp. 234-41; Longstreet, pp. 322-33. ^ Coddington, p. 11; Wert, p. 246. ^ Coddington, p. 12; Wert, p. 248. ^ Longstreet, pp. 346-61; Coddington, pp. 360-61; Tagg, p. 206. ^ Coddington, pp. 359-441; Longstreet, pp. 362-84; Tagg, pp. 206-07. ^ Alexander, pp. 254-65; Longstreet, pp. 385-425; Coddington, pp. 493-534; Wert, pp. 280-97; Tagg, p. 208. ^ Wert, pp. 308-20; Longstreet, pp. 445-79; Alexander, pp. 284-92. ^ Wert, pp. 330-39; Longstreet, pp. 467-81. ^ Wert, pp. 340-59, 360-75; Longstreet, pp. 480-523. ^ Wert, pp. 369-71; Longstreet, pp. 544-46. ^ Wert, pp. 385-89; Alexander, p. 360. ^ Wert, pp. 390-403; Alexander, p. 538; Longstreet, pp. 573-631. ^ Wert, pp. 407-10, 413-14; Longstreet, p. 634. ^ Eicher, p. 353; Wert, pp. 417-19. ^ Wert, pp. 418-25; Eicher, p. 353. ^ Gallagher, p. 207; Hartwig, p. 34; Wert, pp. 422-23. ^ Review summaries of The Killer Angels. Alexander, Edward P., and Gallagher, Gary W. (editor), Fighting for the Confederacy: The Personal Recollections of General Edward Porter Alexander, University of North Carolina Press, 1989, ISBN 0-8078-4722-4. Coddington, Edwin B., The Gettysburg Campaign; a study in command, Scribner's, 1968, ISBN 0-684-84569-5. 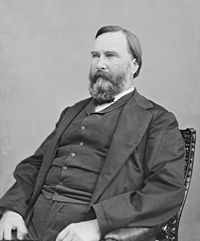 Dickson, Charles Ellis, "James Longstreet", Encyclopedia of the American Civil War: A Political, Social, and Military History, Heidler, David S., and Heidler, Jeanne T., eds., W. W. Norton & Company, 2000, ISBN 0-393-04758-X. Gallagher, Gary, Lee and His Generals in War and Memory, Louisiana State University Press, 1998, ISBN 0-8071-2958-5. Hartwig, D. Scott, A Killer Angels Companion, Thomas Publications, 1996, ISBN 0-939631-95-4. Longstreet, James, From Manassas to Appomattox, 2nd ed., Lippincott, 1912. Rhea, Gordon C., The Battle of the Wilderness May 5–6, 1864, Louisiana State University Press, 1994, ISBN 0-8071-1873-7. Tagg, Larry, The Generals of Gettysburg, Savas Publishing, 1998, ISBN 1-882810-30-9. Wert, Jeffry D., General James Longstreet: The Confederacy's Most Controversial Soldier: A Biography, Simon & Schuster, 1993, ISBN 0-671-70921-6. Connelly, Thomas L., and Barbara L. Bellows, God and General Longstreet: The Lost Cause and the Southern Mind, Louisiana State University Press, 1982, ISBN 0-8071-1020-5. Freeman, Douglas S., Lee's Lieutenants: A Study in Command (3 volumes), Scribners, 1946, ISBN 0-684-85979-3. Freeman, Douglas S., R. E. Lee, A Biography (4 volumes), Scribners, 1934. Piston, William G., Lee's Tarnished Lieutenant: James Longstreet and His Place in Southern History, University of Georgia Press, 1990, ISBN 0-8203-0907-9.